The Spanish taxi protests will continue as driver representatives fail to agree a deal with government officials after four hours of negotiations yesterday. Taxi associations expressed their disappointment at the governments offer to simply move licensing powers to regional authorities. 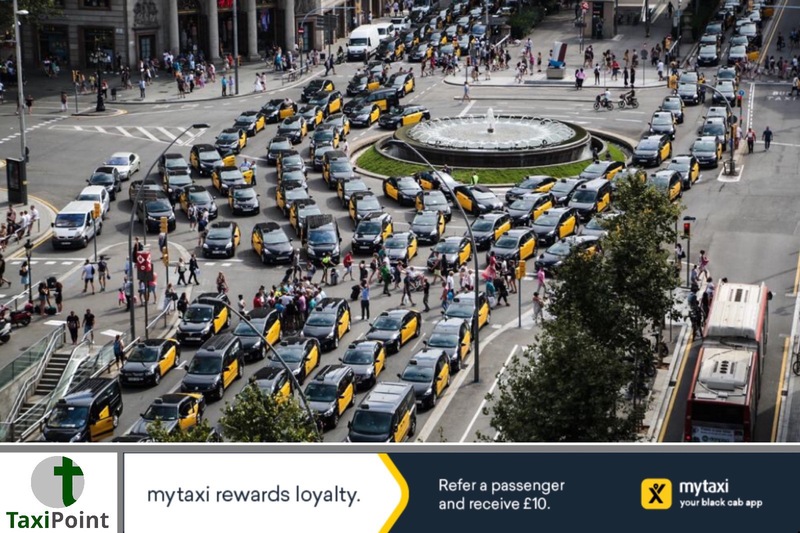 The taxi industry claim that this action would not fix the problem, but extend the issue to 17 separate regions.The taxi protests affecting major cities including Madrid, Barcelona and Valencia, plus many more, comes at the height of the tourist season in Spain. José Luis Ábalos, the Public Works Minister, is under pressure from The Popular Party and Ciudadanos and will be quizzed on the “chaos” being caused across Spain.The protest has also been supported by drivers with similar grievances from neighbouring regions and countries. A Portuguese licensed taxi driver was seen supporting the indefinite strike on Spanish shores. More meetings are scheduled between Spanish authorities and taxi associations as the ongoing protest surrounding unfair competition from ride-hailing firms like Uber or Cabify continues.